In this section, we return to the main themes of the module concerning the role of music in Africa: utilitarian value, aesthetic value, diversity, dynamic and diffusion. Music in African societies serves many roles. It is often seen as inseparable from the people’s culture and many other practices. We are interested in how music is used in African societies and for what purpose. This section discusses the functions of music in African societies. Music in African societies, as it functions in many different societies in the world, has a utilitarian value. Music, either making it or listening to it, is linked to life experiences. These experiences range from special occasions such as births, weddings and funerals, to the accompaniment of everyday experiences, such as playing games, learning about the environment, driving in a car, and discussing politics and economics. Music is an expression of the living, and using music traditions links the living to those who came before and to those who will arrive in the future. Music is fun and makes people want to move, thereby drawing them into the presence of being alive. 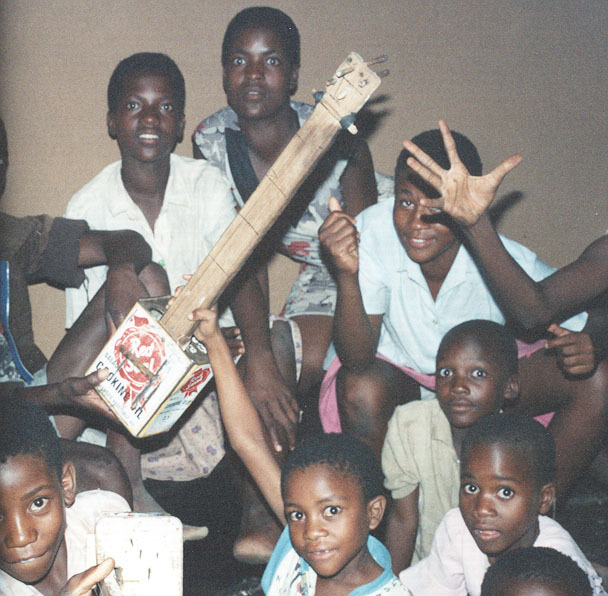 The making of musical instruments shows some practicality in different African approaches to life. Instruments are made according to the availability of raw materials in a geographic area, and more so now, the availability of electronic materials. Sometimes the language sounds of specific groups have affected the creation of different instruments, such as drums, which have been used to mimic the tonality and rhythms of language to send messages. An example of these messages would be a musician playing out a loud rhythm to warn people nearby of an attack by a neighboring group. We can safely say that the arts in Africa, including music, serve functions that are linked to the operations of living everyday life. It is important to note that music in African societies is used for different purposes. Music is used for worship, rituals, entertainment, comfort and many other purposes. Young children use music in their games, boys and girls use music as a source of entertainment, and young adults may listen to or participate in a music-making session for entertainment reasons or to join in a group to foster solidarity and unity. To better understand the importance of music in many African cultures, we will examine some of its uses of in the life of an African child. Before birth, a child is exposed to music as the mother attends various musical activities. At birth, families perform birthrights that introduce the child to the community. Music plays an important part in this occasion. When girls and boys make the transition from puberty to adult life, they go through an initiation process that is marked by music. Music during this period, which ranges from weeks to months depending on the community, is used to convey the lessons for the initiates. These lessons detail behaviors that are expected from the initiates and discourages unacceptable behaviors. Another milestone in any young adult life is marriage. Music at the marriage ceremonies marks the celebration of life of the man and woman as they start their lives as a family. During these ceremonies, music is used as means of communication between the bride and groom. At times, they use music to tease each other. When death comes, there will be music to comfort the family; irrespective of religious conviction, music plays a central role in funeral ceremonies and throughout a period of mourning. Music in African societies, as is the case in other societies of the world, has an aesthetic value. Aesthetics are the attributes of art that make it “good,” and these attributes are culturally constructed. People’s values, preferences and tastes are strongly tied to cultural factors, such as worldview, economics, gender, history, age, and family. In African societies, music is always seen as inseparable from human existence. It carries long traditions and values that are associated with the people and represents part of their identity. Therefore, a positive response to the aesthetic value of music occurs when the musicians link everyday existence to values and traditions. African people have a different way of showing their enjoyment and appreciation of music than many Americans. Audiences appreciate music in Africa by participating in it or through many interactive means, such as shouting some words of encouragement, whistling, clapping, stamping and dancing to it. These practices reinforce the belief that music is an inseparable entity from African culture. The musical form of most songs in African music is “Call & Response” in which there is a leader on voice or instrument, and the rest of the group responds with their part. This musical form demands, by virtue of its structure, that there is social interaction in music making. The form also lends to musical repetition in that a song can go around many times because it is cyclical. This leaves the singers and musicians in charge of the length of the song, instead of the song determining its own end. Musical performance in Africa is tied to other cultural practices such as poetry, dancing and storytelling. An event can have some or all of these performance aspects because they work together to demonstrate the values of the society, as well as entertain young and old audiences. Africa is a huge and diverse continent, and therefore the music of Africa is diverse in nature as it is largely influenced by the different cultures and geographical locations. The instruments are made according to the availability of raw materials in a geographic area and sometimes the language sounds of specific groups. 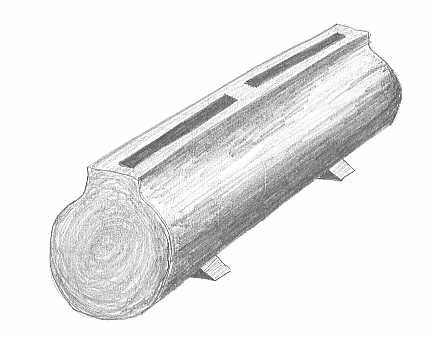 If we look at the map of Africa, we can notice that people located in regions where there are large forests seem to have music that is dominated by instruments made of wood, for example the Marimba in Mozambique, Zimbabwe and Angola, and Xylophones and the Log slit-drums from the Congo region. On the other hand, those people located in grasslands seem to have developed strong vocal traditions. Songs also vary from region to region, and more specifically, from culture to culture. The rhythm of language is a contributing factor to how songs are made and sung. Another factor is history that is specific to one culture group. Group perspective and identity are inserted into the musical traditions that a people call their own. The popular club music called Kwaito in South Africa is very different from the Senegalese club music that has strong Salsa influences. Although there are many factors that make African music so diverse, and thankfully give us so many different pleasurable sounds to choose from, there are also themes in African music that unify it as a genre. These include political themes, like fighting for independence, psychological themes, like overcoming the mental oppression of racism, and economic themes, like demonstrating the plight of poverty in many different areas of the continent. Music in African communities represents the dynamic nature of those societies. African Music has evolved over many years to accommodate the external influences while preserving its essential elements such as rhythmic patterns and idioms. Most African songs have been orally passed through a number of generations. The oral communication method has facilitated the changing of the original version of the song up to a point where there is no one who is able to claim an “authentic” version of a song. This process of preserving music through oral traditions has propelled African communities to be creative, as each of their songs can be modified to suit a particular occasion. Consequently, African people can enjoy music of the 19th and 20th Centuries now in the 21st Century, while creating new music to address contemporary issues. Africa is a large continent that has divergent groupings and cultures. It is difficult to speak of one representative African song or African culture. For millennia, African people have been interacting with various groups of people from other parts of Africa and of the world through conquest, trade, and the exchange of knowledge and ideas. These interactions have influenced the music, culture and religion of African people. Different instruments and vocal traditions have been transferred and adapted by different societies as a result of this process. This has resulted in adaptations to existing musical traditions, as well as in the development of new styles and musical practices throughout the continent. Within the different African groups, traditions and practices in the arts have been transferred from one group to the other and adapted by others. This has led to the cross-pollination of musical traditions and practices. Equally important, as will be demonstrated in the next section, Africa musical traditions also impacted musical styles practice in other parts of the world. As African cultures and societies borrowed and adapted from other musical traditions, so too did societies and cultures in the Americas, Asia and Europe borrow and adapt from African musical traditions. Consider music that you like. What properties make this music good? How is your music linked to your life, and how is it linked to other aspects of performance (i.e. dance, clothing, situation)? How is this the same and how is it different from what you’ve learned about function and aesthetics in African music? Think about the process of passing on music through oral traditions and compare it to the system of writing music down. Do you believe there’s one that’s more effective? What are the reasons for your answer?